The FBI investigation into former Secretary of State Hillary Rodham Clinton’s unsecured email account is not just a fact-finding venture — it’s a criminal probe, sources told The Post on Wednesday. The feds are investigating to what extent Clinton relied on her home server and other private devices to send and store classified documents, according to a federal source with knowledge of the inquiry. “It’s definitely a criminal probe,” said the source. “I’m not sure why they’re not calling it a criminal probe. “The DOJ [Department of Justice] and FBI can conduct civil investigations in very limited circumstances,” but that’s not what this is, the source stressed. “In this case, a security violation would lead to criminal charges. Maybe DOJ is trying to protect her campaign.” Clinton’s camp has downplayed the inquiry as civil and fact-finding in nature. Clinton herself has said she is “confident” that she never knowingly sent or received anything that was classified. 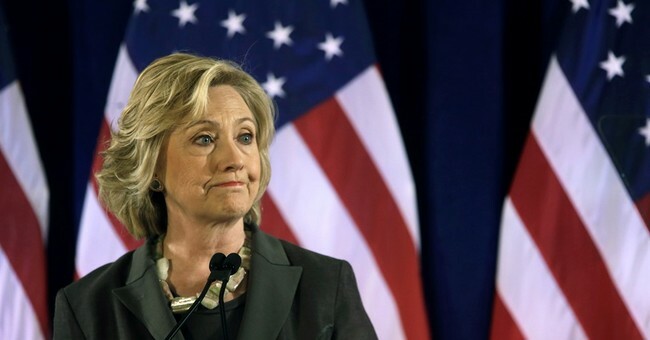 But she did send and store classified material on her server, in clear violation of the law. She claimed in March that there was "no classified material" whatsoever. The evidence -- incomplete as it is -- proves otherwise. That's why two Inspectors General referred the case to the feds for investigation. The Associated Press and Washington Post have confirmed the FBI's involvement in the probe, with which Team Hillary says they're "actively cooperating:"
Federal investigators have begun looking into the security of devices on which Hillary Rodham Clinton's private email was stored when she was secretary of state, Clinton's attorney confirmed Wednesday. "We are actively cooperating" with the investigation, attorney David Kendall said in a statement. The inspector general of the U.S. intelligence community alerted the FBI last month to concerns that classified information was included in emails that went through Clinton's personal home server...The Washington Post, which first reported the FBI's involvement, said that the FBI has asked Kendall about the security of a thumb drive containing copies of Clinton's work emails sent during her tenure as secretary of state, which is in his possession. The Post cited two anonymous government officials, who said that the FBI was not targeting Clinton.